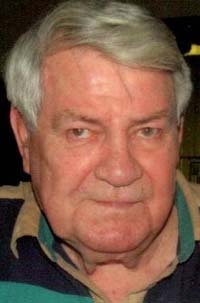 NEWTON FALLS — Louis Perekovich Jr., 84, died Tuesday, April 9, 2019, at his residence. He was born July 29, 1934, in Newton Falls, the son of Louis and Mary Shokac Perekovich Sr.
Lou served in the U.S. Army in Germany. He was retired from the Newton Falls Water Department. Lou is survived by his daughter, Jodi Coppenger of Hamilton; two brothers, Joe and Rudy Perkovich, both of Warren; a sister, Janet Wildman of Texas; and two grandchildren. He is preceded in death by his wife, Helen Speno Perekovich; two brothers; and three sisters. Graveside services will be held 11 a.m. Friday at St. Joseph Cemetery. Arrangements handled by Bernard P. Borowski Memorial Home in Newton Falls.